With international tourist arrivals and investment in the sector ostensibly on the rise, the kingdom saw a “tremendous” growth in the number of hotels and guesthouses last year, according to the Minister of Tourism. Speaking during the annual conference of the provincial tourism department in Siem Reap on Tuesday, Tourism Minister Thong Khon said in 2017 Cambodia had a total of 781 hotels – 134 more than in 2016 – with Siem Reap alone home to 225 of them. “The number of hotels and guesthouses has increased tremendously due to the rapid growth of foreign tourist arrivals and investors,” he said. At the end of 2017, Cambodia had 2,255 guesthouses (259 more than in 2016), 2,239 restaurants, 881 entertainment centres, 619 tourist agencies, and 6,123 registered guides in the country speaking a combined 12 languages. Siem Reap, meanwhile, has 316 guesthouses, 190 restaurants, 13 entertainment centres, 50 massage parlours, 284 tourist agencies, and 4,152 registered guides. “As private sector, we want more hotels, restaurants and guesthouses that comply with hygiene and quality standards and represent a bigger investment,” said Chhay Sivlin, president of the Cambodia Association of Travel Agents. “The trend for foreign tourists now is to come as part of a tour group, so we need bigger hotels and restaurants,” she said. Ms Sivlin added that European and Chinese tourists are increasingly demanding upscale and luxury accommodation options. 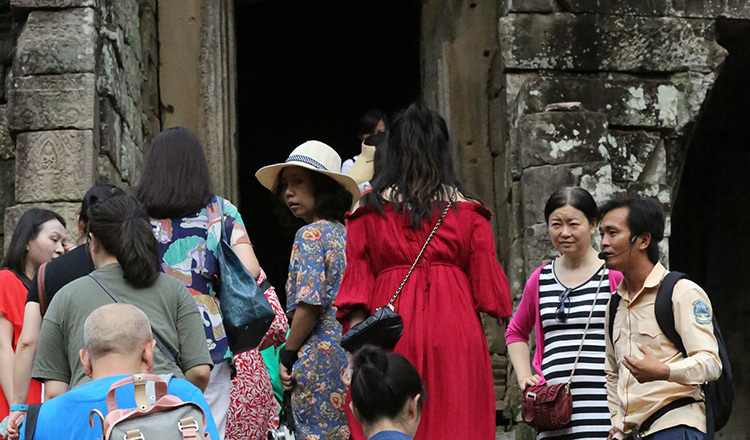 Ho Vandy, secretary-general of the Cambodian National Tourism Alliance, said that important tourism destinations within the kingdom currently lack sufficient hospitality establishments to meet demand during the busiest seasons. 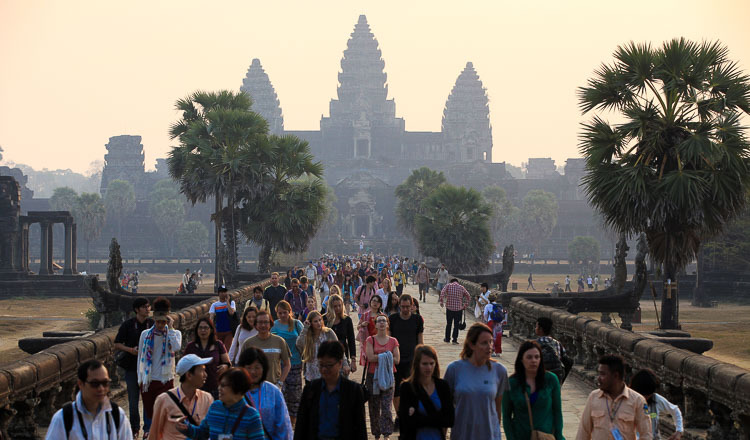 “We need more hotels – from luxury to those that cater to backpackers – as the number of people, from all walks of life, visiting Cambodia is growing remarkably,” Mr Vandy said. 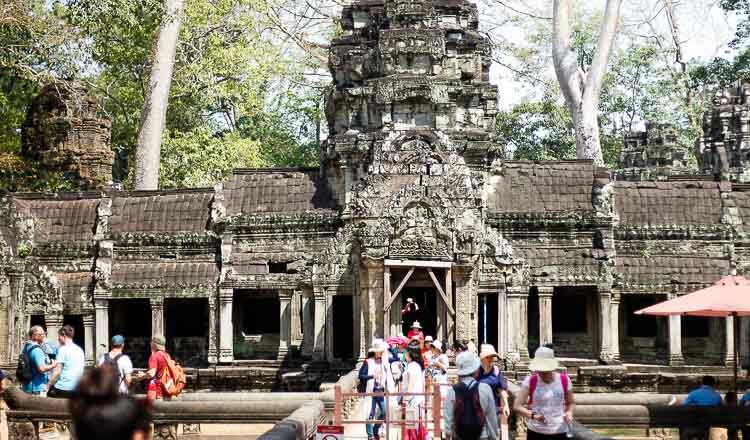 Thourn Sinan, chairman of the Cambodian chapter of the Pacific Asia Travel Association, said provinces like Kratie, Kampong Cham, Mondulkiri, Ratanakkiri, Kampot, Kep and Battambang were in need of additional accommodation. “We encourage more investment on hotels and restaurants in alternative destinations to diversify the tourism offer in Cambodia,” he said. Last year, international travellers visiting the kingdom spent 5.6 million, 11.8 percent more than in 2016, according to a report from the Ministry of Tourism. 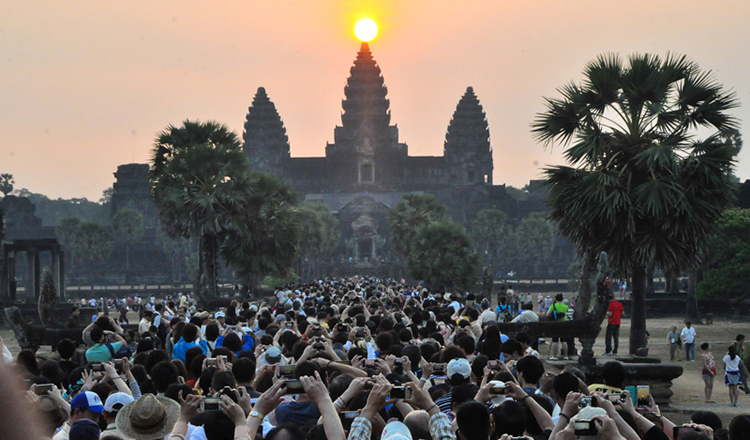 Cambodia’s tourism sector earned $3.63 billion in revenue last year, an increase of 13.3 percent.